St James Routes - Part 3 - Hanmer Springs Horse Riders Inc.Hanmer Springs Horse Riders Inc. This route can only be attempted in summer when the Waiau River is in low water. Don’t attempt to ford during nor-west weather patterns. Ride over Charlies Saddle on the vehicle track and along to where the vehicle track descends to the Waiau river. Ford the river at its widest point; just above the rapids is best. Follow up the true right bank of the Waiau until you pick up a bulldozer track which climbs over a bluff 200 m below McArthur cycleway bridge. Poole Hut is about 10 minutes up river from here. NB In spring, the breeding mares and new foals of the St James herd are often on the northern slopes of Saddle Spur. They will generally keep their distance, but sometimes they canter around you at a distance of 30m out of curiosity. As long as you don’t go nearer, they won’t hurt you. Option 1 from Poole Hut: travel up the cycleway towards Saddle Spur to get onto the higher terrace, then ‘U’ turn on this terrace travelling down the Waiau until you get to the track up to Jervois Hut. The Hut is 30-45 mins up. 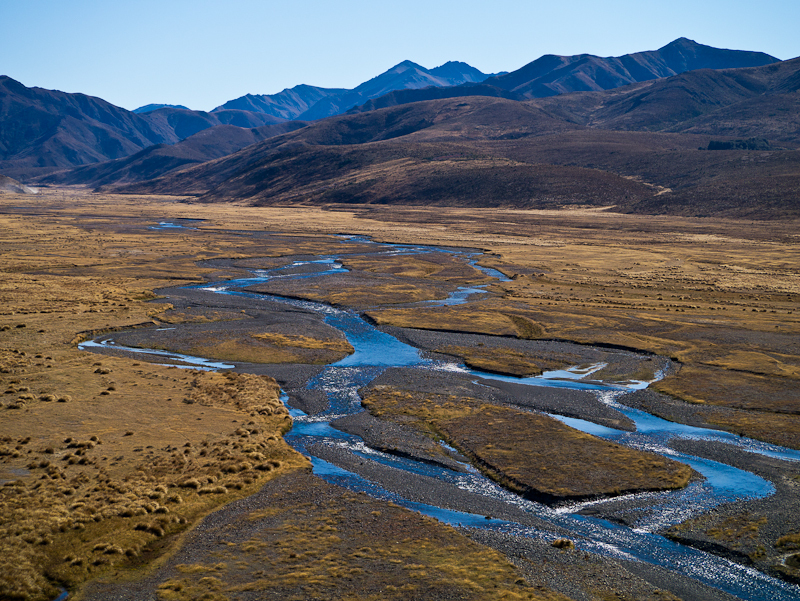 Option 2 from Charlies Saddle: ford the Waiau River wherever you can then head over the river bed towards the Jones stream valley. You will climb up a bulldozer track which drops off the upper terrace down to the Waiau riverbed to the right of Jones stream. A track has been cut through Old Man broom which starts approximately 200m to the right of the bulldozer track. It takes 30-45 mins to get to Jervois Hut from here. Follow the vehicle tracks across the Ada Flats, past the Ada Homestead to the Lake Guyon signposted turnoff. Note that the Ada Homestead is private property, but the cattle yards at the back of the property facing down the Waiau are a great place to stop for a lunch break. Option: after leaving the Ada Homestead and fording the creek on the vehicle track, turn right and cross the Waiau River to join the cycle trail and follow this down to the Lake Guyon turnoff. 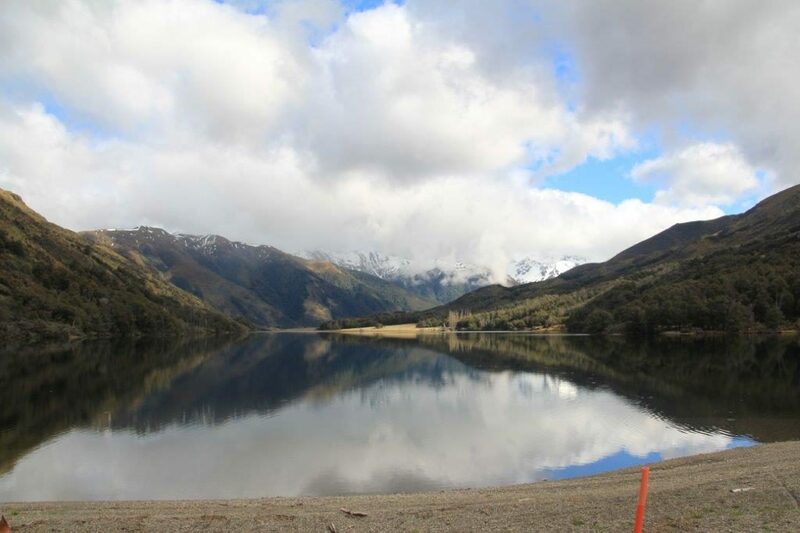 Cross the Waiau opposite Ada Homestead and follow the cycle trail to Muddy Lakes down the Waiau. There is a ford here which will take you back over to the cycle trail below Saddle Spur. Follow the vehicle tracks past the western side of the Ada Homestead through a line of willow trees and for about an hour. Then veer left and follow a vehicle track at the end of a large grassy flat down to ford the Ada River. After crossing the river, the hut is about 30 mins further on the bush edge on your left. There is a holding paddock at Christopher Hut. From this turnoff, follow the vehicle track back over Maling Pass to the carpark near Lake Tennyson. Go through a gate before the vehicle track starts climbing up towards Maling pass on your left. Follow the rough track up the valley to the bivvy. From the carpark at Lake Tennyson, ford the Clarence at the Lake outlet and follow around to the beech forest on the far side. A track sidles up through the forest and to the open tussock land at the top of the lake where there are great picnic places. This is the route to the Upper Clarence and Paske Saddle trips. On a nice day, this is an enjoyable ride. Fowlers to St James Homestead 2.5 hr. If you have a bit of extra time it’s a lot more interesting to travel down the true left of the river than on the road after you have passed Fowlers Hut.